Growing up my mom made the best meatloaf. Now I know what you are thinking...meatloaf can be so blah. 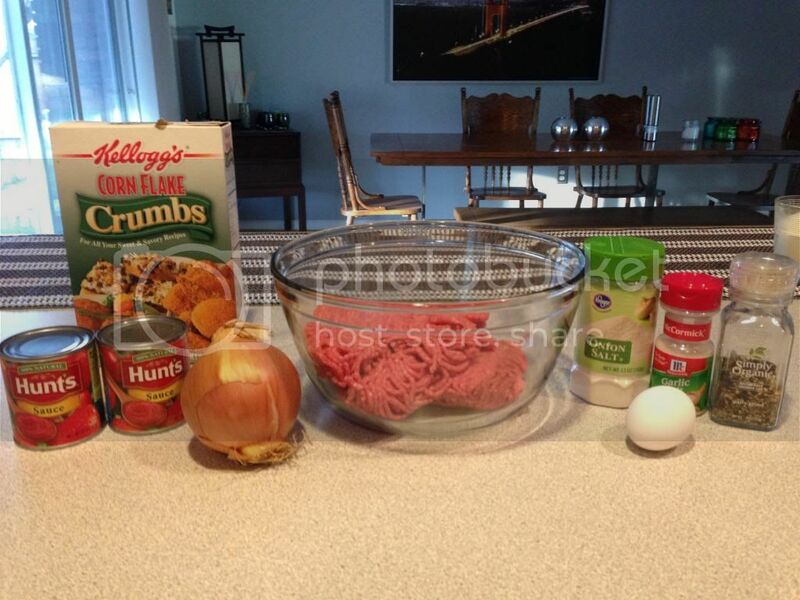 I rarely eat meatloaf other than this recipe because it usually disappoints. But I promise, this is the best meatloaf. Line 9 x 13 inch pan with aluminum foil for easy clean-up. In a separate bowl, combine ground chuck, egg, diced onion, cornflake crumbs, 3/4 of one can tomato sauce and half of each spice: pepper, garlic salt and onion salt. 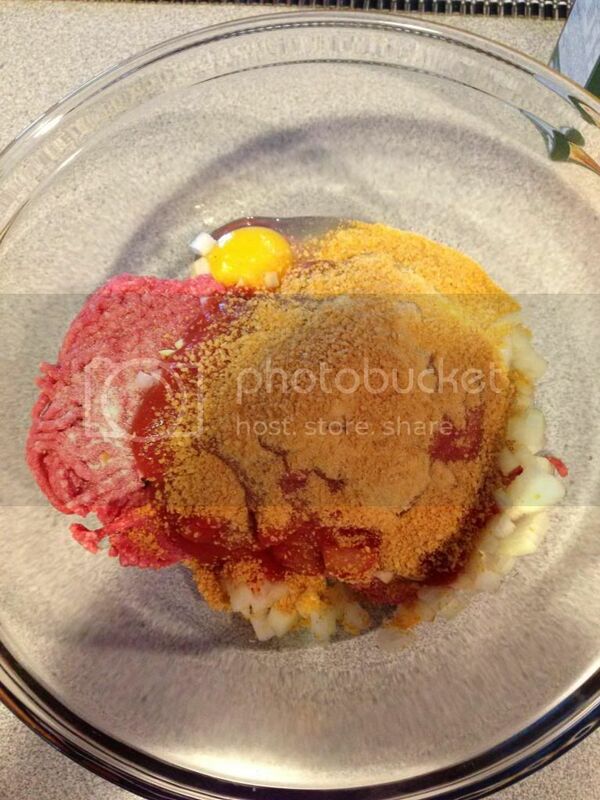 Do not over mix as the meatloaf can get tough. Shape mixture into a ball and place in the 9 x 13 inch pan. Push the center of the ball down and pat sides to make a uniform shape. 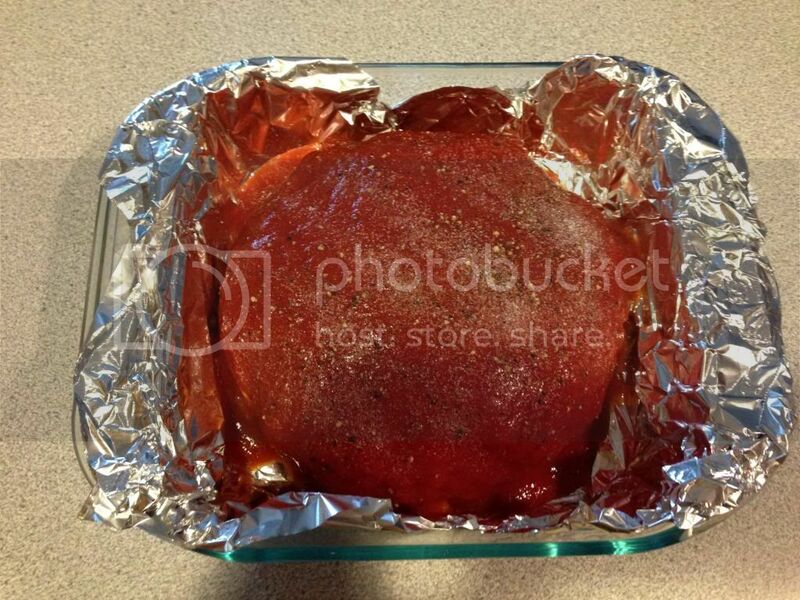 Pour remaining 1 1/4 cans of tomato sauce on top of meatloaf. Sprinkle remaining spices on the tomato sauce. 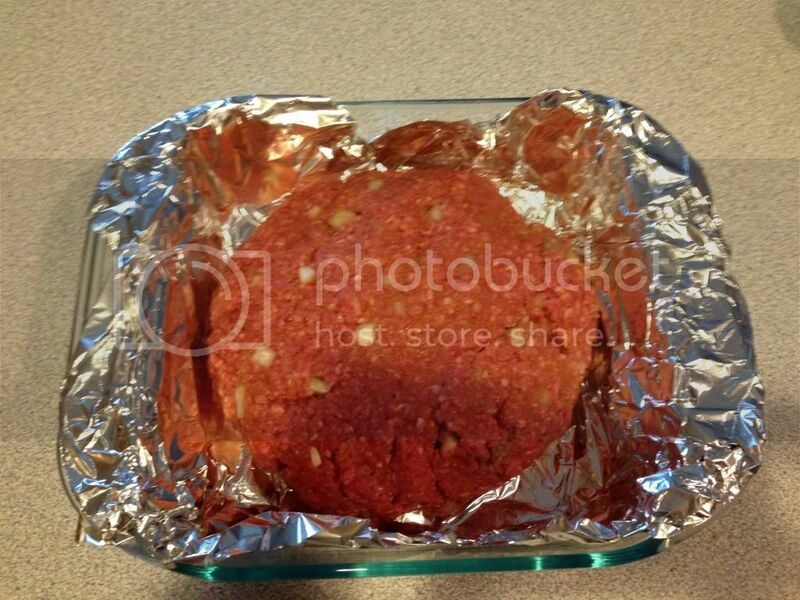 Form into a ball, place in pan and push center down while patting edges of meatloaf. Pour remaining tomato sauce and spices on top, bake, serve and enjoy! Note: I used a smaller pan as I had other side dishes using the 9 x 13 inch pan. It is better to cook in a larger pan, so the juices don't build up around the meatloaf.